The new weekly dishes at The Grass Company Spoorlaan are ready to lick your fingers. What do you think of Italian chicken-filled chicken, Indian sweet potato curry and red lentil soup? Click on the link for the overview! In this section we give an overview of the different weekly dishes that the Grass Company Spoorlaan has for week 44,2017. 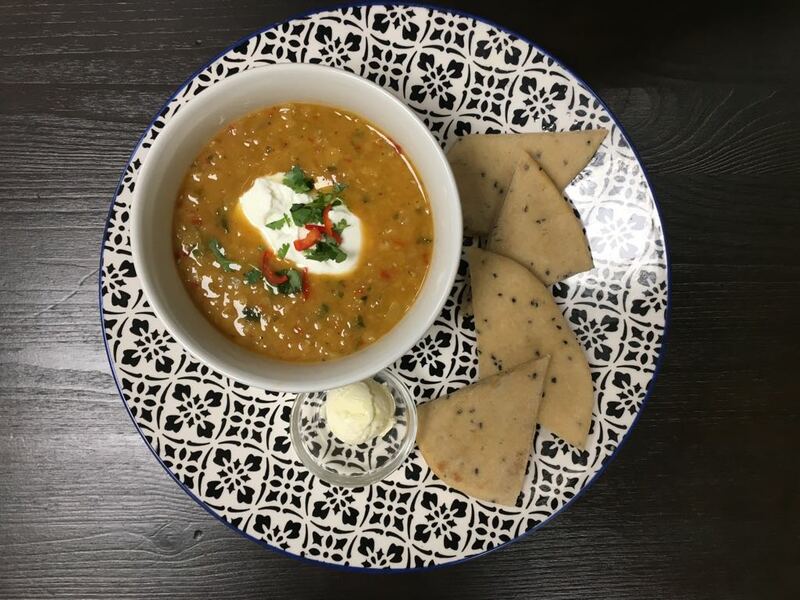 Pink lentil soup with roasted pepper, coriander and Greek yoghurt. 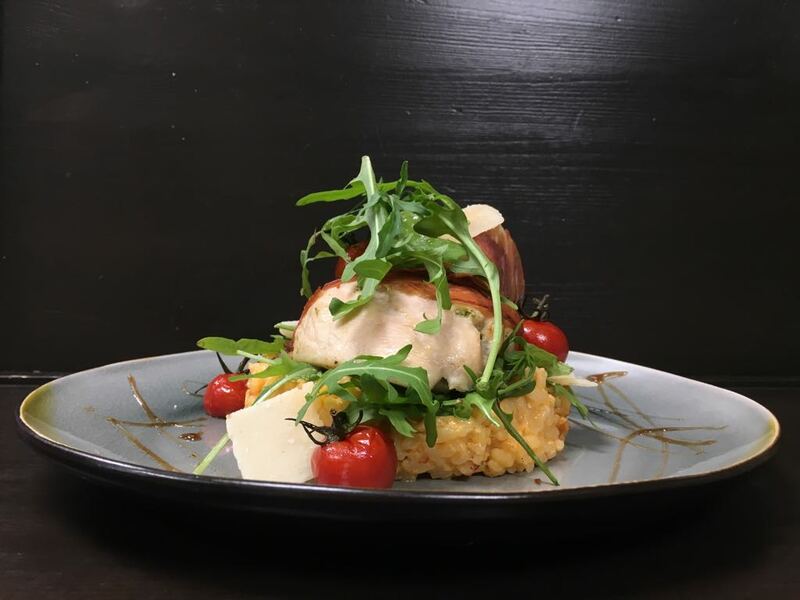 Italian filled chicken with mushrooms, mozzarella, pesto, parma ham, pepper puffed risotto and rucola. 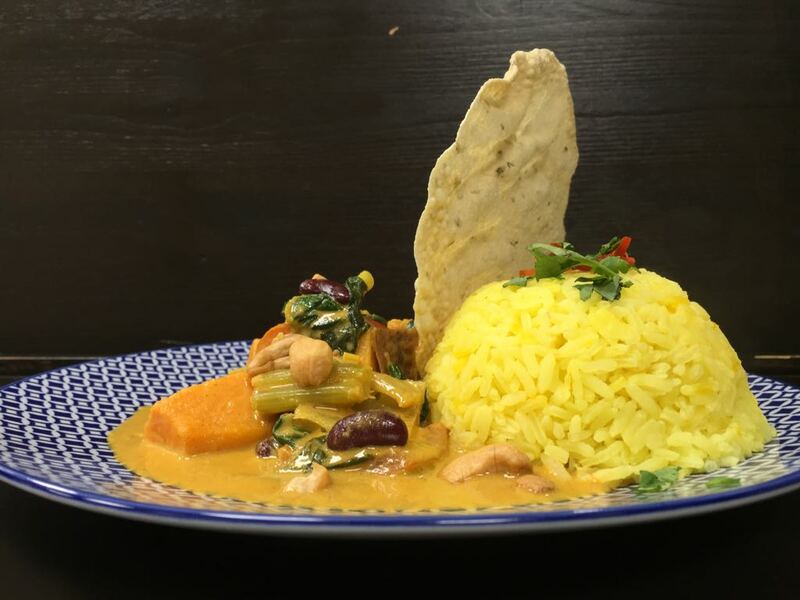 Indian sweet potato curry with spinach, chickpeas, kidney beans, tomato, cash nuts and pappadums. These weekly dishes are available until Wednesday 25 October 2017 from The Grass Company Spoorlaan. Reservations are not mandatory, but are recommended if you want to guarantee your table.